The cargo van desk gives you a place to complete and store paperwork without taking up much space. Without a mobile office desk option, you may find it difficult to provide clients with bids or invoices in a timely manner. Furthermore, you may need to juggle paperwork until you arrive back at the office - which can result in lost documents. There are three van desks to choose from - the full size flat top file holder, the mini flip top file holder, and the space saver setup. Depending on your available space, any one of these three options will create the perfect mobile office desk for a van. The full-size mobile office desk features a wide top perfect for writing on the go. The top flips open to reveal enough space to store at least a dozen legal sized hanging files. A lock keeps sensitive documents secure from prying eyes. The mini cargo van desk combines a flip-up writing surface with secure interior storage space. The interior space keeps letter sized hanging files organized and accessible. The mini-sized unit is thinner but slightly taller to snugly fit in-between bucket seats. 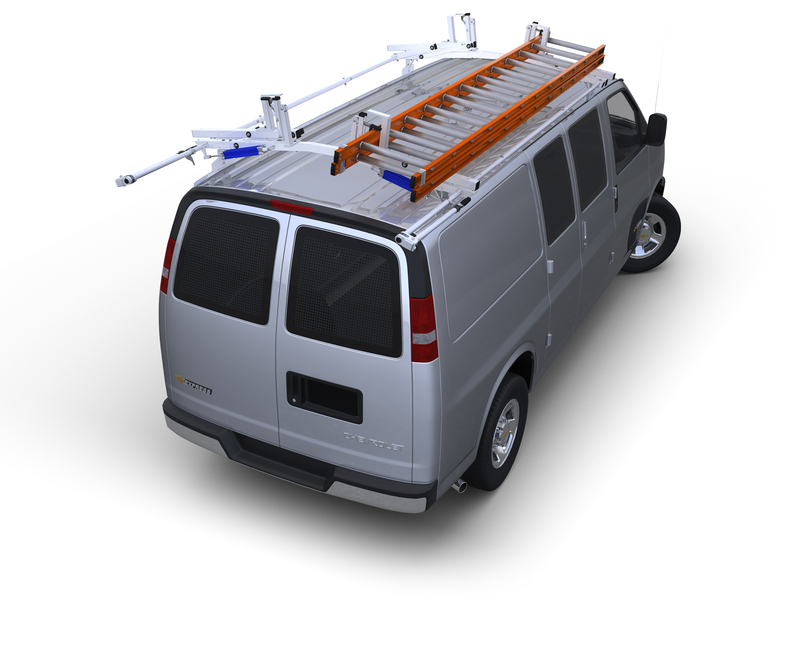 The space saver cargo van desk sits between the backs of the bucket seats and attaches securely to the partition. The writing area extends out on a sturdy metal strut for quick access anytime. This model features an interior storage area that easily holds business cards, writing materials and envelopes to keep your office supplies close at hand. The sides of the unit feature four secure pockets for holding reference materials and documents.